Uncovering a patient’s emotions and ambivalence about treatment may lead to a more energized patient with better health. 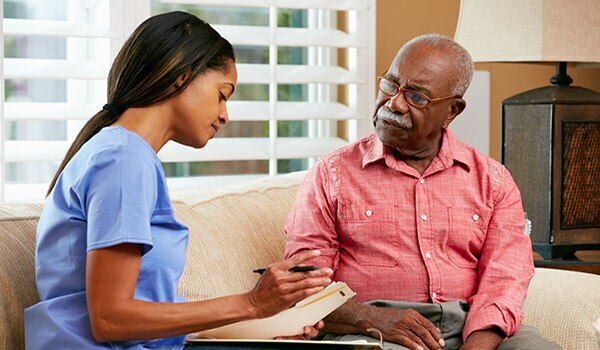 Motivational interviewing (MI) is a set of communication techniques that can spark behavior change in people with chronic conditions such as diabetes. This style of communication can be a dramatic shift for some providers. Think of MI this way: In usual care, the provider steers the boat, brings the fuel, and charts the course. In MI, the provider is simply the rudder, serving as a guide, and the patient steers. Ken Resnicow, PhD, offers highlights and examples of MI style below. DO: Roll with resistance—listen to your patient’s problems and fears. In MI style, the first strategy is to listen to the patient’s fears and problems. We call this “rolling with resistance.” If someone is struggling with their medication or behavioral changes, the first thing we need to do is listen to what the struggle is and try not to push, advise, or fix. For the first few minutes, just listen and reflect back. Reflecting back on the struggles of the patient is the first phase of energizing the patient. DO: Pause before discussing how a patient can make changes. In MI style, we wait a fair bit longer to get to the “how” phase and spend more time in the “why” phase. Most practitioners are slightly overanxious to get to the “how” phase, which involves aspects such as action planning, goal setting, and looking at specific foods and exercise prescriptions. In MI, we delay that phase and tell providers to spend two-thirds of their time on the “why” and only one-third on the “how.” It can be disorienting to providers, and there’s a perception that it takes longer. In fact, it’s probably more efficient with time. It’s a redistribution of the provider’s time in that more time is spent listening to the patient’s barriers and fears and responding to them. That’s often the nature of the comfort. DO: Listen for a patient’s insights and ideas. After reflecting back a patient’s struggles and feelings, the next phase is what we call the “building change” talk. It’s a combination of having the person express how a behavior change would be good for him or her and realistic ways to take action. So, a provider might say, “What are your ideas about how you can improve this situation?” Then the provider would listen carefully to what the patient confides. Along with the struggles and barriers, the patient might say, “I like walking,” or “There’s a new gym.” A highly skilled provider can pick up the scent of the trail because patients often allude to what they’re willing to do obliquely. Patients often drop crumbs during the conversation about what they are willing to do. Once a patient has strong motivation and begins brainstorming ways to make behavior changes, a provider can collaborate—respectfully. You’ll want to explore how much change your patient is willing and able to make at that time. In MI style, we would probably start with a very small step by saying, “So, you like walking?” and let that sit; let the person describe his or her thoughts and feelings. Then we might say, “How, if at all, do you see walking fitting into your life?” So, we’re pretty careful with any form of prescription. Now, if the person volunteers—“I’ll walk twice a week with my dog”—we would absolutely reinforce. DON’T: Pressure, fix, or control. MI energizes patients to take the lead in managing their condition, in step with their medical providers and supporters. We tell providers to be careful about forced solutions or controlling language. Providers have these great ideas and they want to the fix the person, but we find that prescriptions tend not to fix. “You must, you should, you have to, it’s better, it’s important, do it for me,” are the most directive words in counseling, and we put them all under the category of controlling motivation—which can be toxic, causing the patient to become defensive or shut down. We try to avoid controlling language because it elicits resistance. The literature is quite clear about people who do something because someone made them feel guilty, shamed them, or pressured them. The long-term prognosis for behavior change in such people is poor. We try to energize the behavior change with other things in the person’s life that are high priority or have a lot of salience, instead of using “fear, facts, and feedback,” as we say. We don’t generally try to motivate people by scaring them. Short-term, people are usually willing to make changes when they’re terrified—when they first get diagnosed--but that wanes in a relatively short period of time, and the question is how to keep the person energized when the initial fear has worn off. DON’T: Neglect to praise your patient’s efforts. Respond to your patient’s disappointment, frustration, and fear. It won’t fix the immediate problem, but it helps the person feel that their effort wasn’t wasted. It helps your patient to feel heard, as opposed to just “fixing it” and saying, “Okay, we’ll try a new medication.” Over time, your empathy may help keep your patient motivated and lead to better health. What approaches do you find affect your patients’ behavior for better or worse? Ken Resnicow, PhD, is the Irwin Rosenstock Professor of Health Behavior and Health Education at University of Michigan School of Public Health and Professor of Pediatrics in the School of Medicine. He is the Associate Director for Community Engagement and Health Disparities Research at the University of Michigan Cancer Center and Chief Scientific Lead at the University’s Center for Health Communications Research.